IBM 1501492 ST-412 HDD interface 8-bit ISA card with cables. 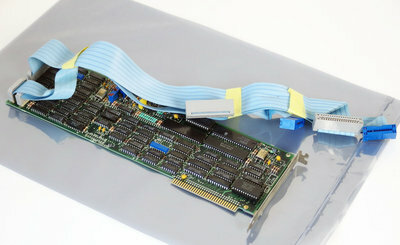 Original IBM hard disk controller for use with 8-bit ISA slot (IBM PC or PC XT compatible computer). Comes from an IBM PC XT 5160.